Thrifting, opp shopping, fossicking for bargains – to me, this is the new black. Well, it’s always been the ‘new black!’ As in, utterly amazing. You can read all about how I fell in love with opp shops – a love affair still richly blossoming to this day – but in this article I simply want to tell you three good reasons to give opp shopping a go, if you haven’t already! According to Overdressed, many large clothing chains produce as much as a half a billion garments per year. Also, world fiber production is now 82 million tons, which requires 145 million tons of coal and somewhere between 1.5 trillion and 2 trillion gallons of water to produce. Half a billion garments a year? Every year, because this year is so last year already? Wow. What an impact this has on the environment. What if just a little bit of that demand was slackened? Enter thrift shopping! Whether it’s the salvos, Vinnies, the RSPCA or your local community scouts, every item you buy from a charity store goes to supporting their charity. That’s the whole point of charity stores – they are doing something great for charity! In all my time as an opp shopper, never once have I seen a thrift shop advertising a cause which didn’t have good values. They’re helping the homeless, supporting a church, going towards the cost of an animal shelter or supporting scouts. I’d rather give my money to those causes than a multi-national company which sells clothes at 200% inflation. And when I have seen overpriced opp shop clothes which weren’t selling for a good cause, they were called a “vintage store” or “second hand clothes dealer.” Where do these places source from? Opp shops play a big part here! 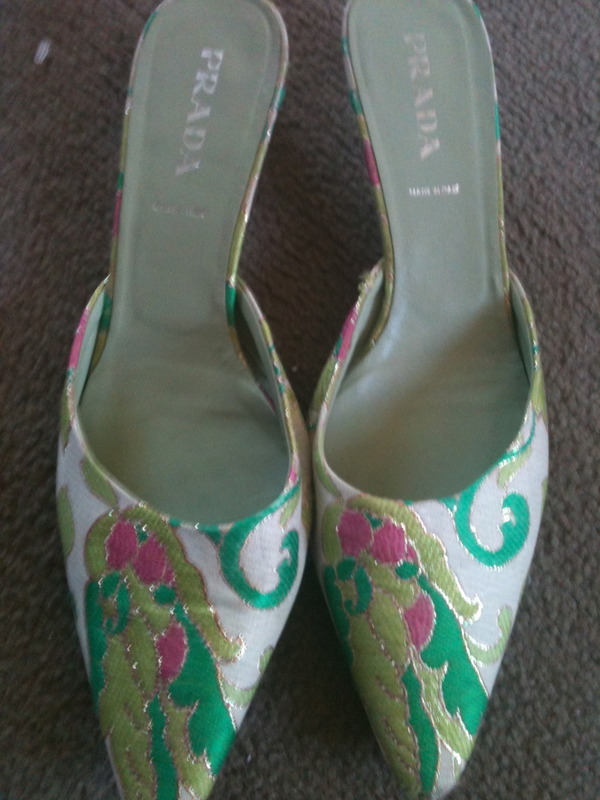 So if you are buying a pair of ‘vintage’ leather boots for $200 from a Fitzroy/Chapel Street/funky monkey location then why not hunt around a little bit more and get your beloved vintage item from the opp shop itself … for a fraction of the cost! 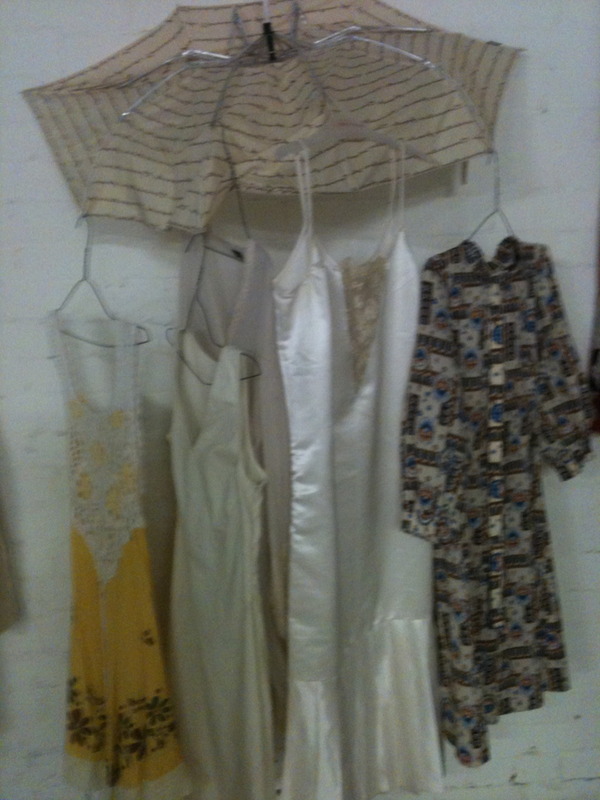 All of these gorgeous dresses are from the opp shop. The one on the left I gave to a friend for a fashion shoot and the one on the right was a fave find! $6, made of silk complete with frill neck and matching belt. Yes, yes, yes! And anyone who opp shops will attest to this. 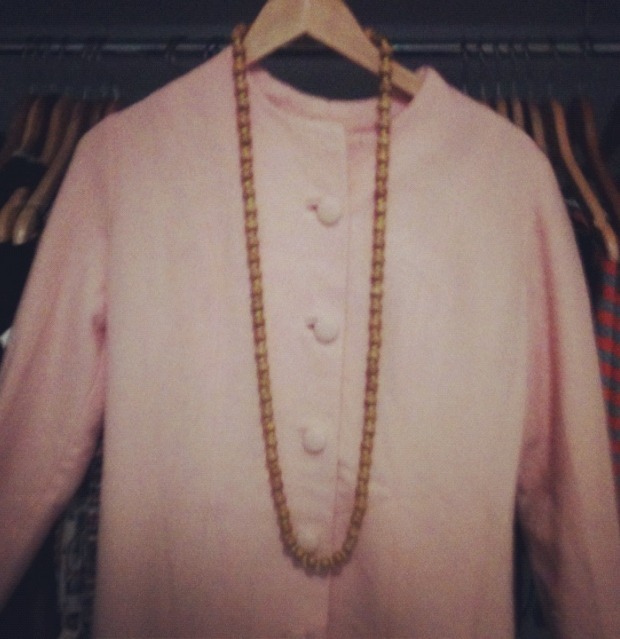 Clothes from a bygone era, hard-to-find first edition books, amazing jewellery, furs, coats, boots, hats, handbags. And so much of those great finds are often still with tags attached. I’ll never forget one of the best thrift shop finds I’ve ever come across: a brand new French designer handbag. Not only did it have the tags still attached, it also held a certificate of authenticity. YSL. It’s lasted for almost a decade, and still in good shape. And the best thing? $5. Yes, you read that right – $5. That was back in 2005… it might be a little bit more expensive if it was sold new now but you get the gist. Amazing, spectacular, original, dinner-party-conversation, attracts-compliments-from-strangers-at-traffic-lights finds!! If you’ve never tried this wonderful thing called opp shopping, I hope this article has inspired you to have a go! Love the pink coat and the Prada shoes of course! 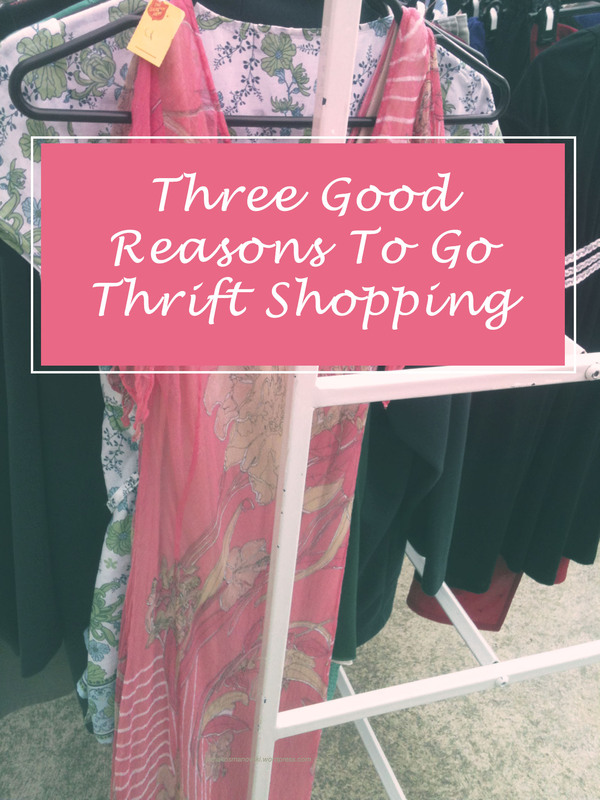 #3 is the most important reason why I thrift! I went thrifting today and got a fur coat for $4. An first I thought it was faux but now I’m thinking it’s real! Wow, that’s amazing!! It’s like a treasure trove … never know what you will find! Next PostApples, Leaves and Boots: Welcome Autumn!